group, through a participatory, bottom-up approach called design thinking. 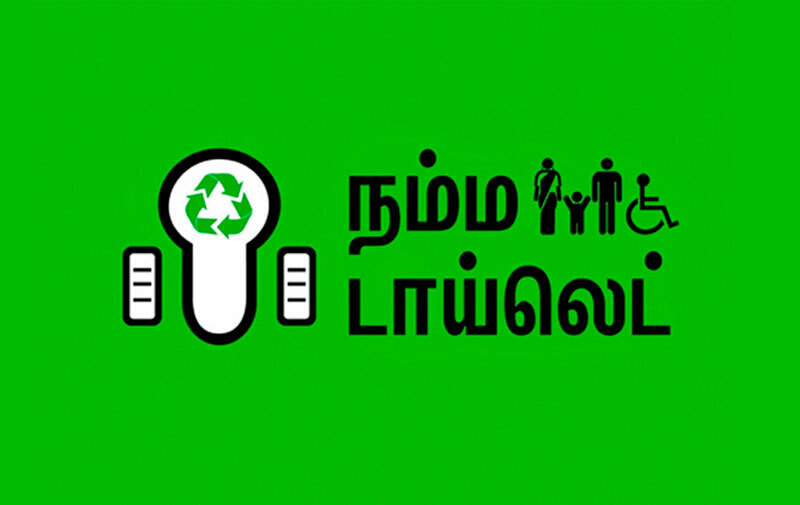 The Tamil Nadu Govt was keen on designing public toilets through a user-centric approach to eradicate the problem of open defecation in urban Tamil Nadu. Earlier efforts and toilet designs had failed for several reasons. 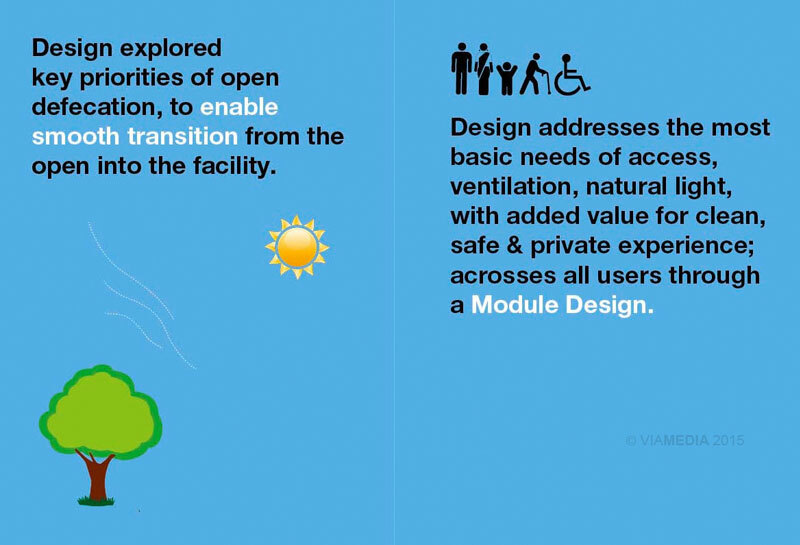 The process explored key priorities to enable smooth transition for users from the open into the facility. 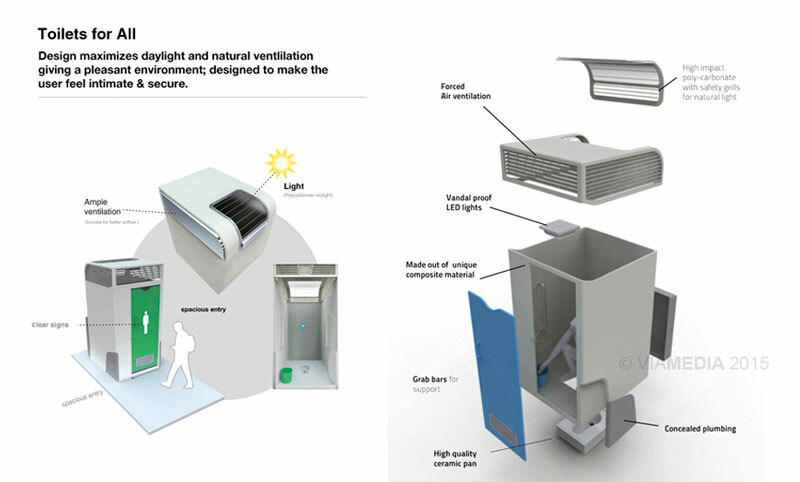 Design addressed the most basic needs of access, ventilation, natural light, with added value for clean, safe & private experience; across all user groups through a module design. Variations of the design were built for men, women, children and physically challenged. Availability of water and safe sewer disposable was addressed through green technology. 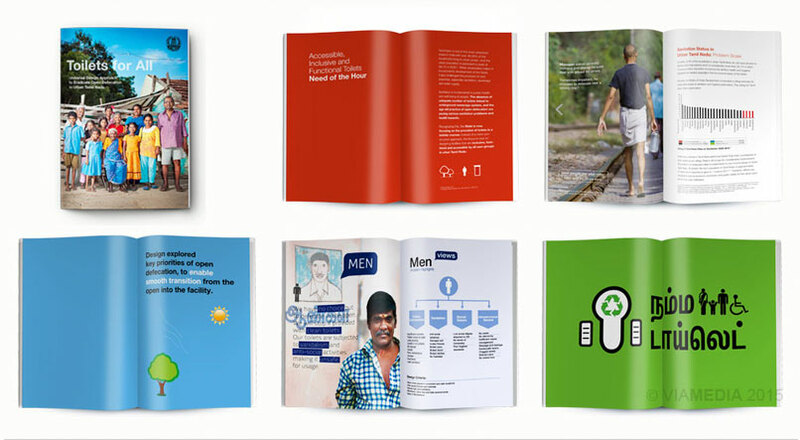 The project was branded ‘Namme Toilet’ to drive a strong sense of ownership and pride. 35 toilet complexes were commissioned in the pilot phase in 2013 and 385 toilets are currently being planned in the Chennai Metropolitan Area. 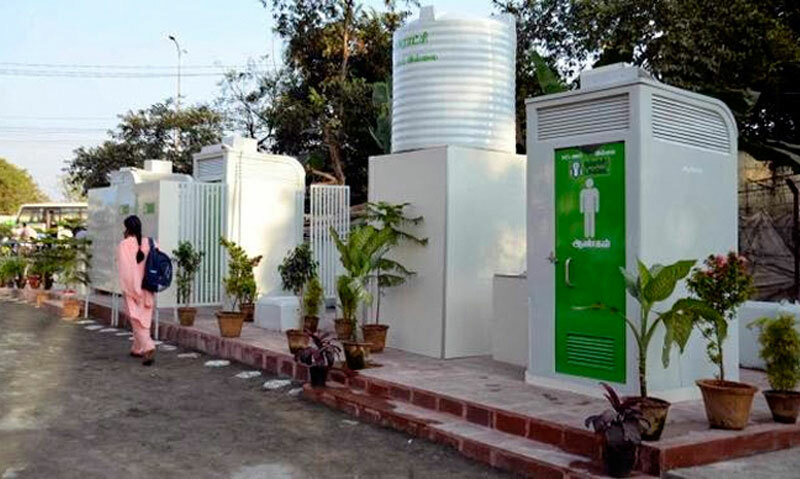 ‘Namma toilets’ for disabled and elderly, men, women & children. The Govt of Tamil Nadu keen on overcoming the problem of open defecation through a comprehensive solution, starting with better toilets. The Govt was keen on focusing on facilities that would be inclusive, functional and accessible by all user groups in urban Tamil Nadu. The National Institute of Design conducted a 3-week study on 'Cultural Appropriateness in Tamil Nadu' across Anakaputhur & Kanchipuram Muncipalities and the Tiruchirapalli Corporation. The study sought to provide insight into the cultural issues prevailing in the social milieu of Tamil Nadu. These insights were grounded in the history, tradition and lifestyle of urban dwellers in Tamil Nadu, would help in the designing better toilets. The Commissionerate of Muncipal Administration brought together a multi-disciplinary team for design development. The team further brainstormed to map user-needs and problems in existing public and community toilets in urban Tamil Nadu. 1. Viamedia participated along with architectects, sanitation experts, product designers, green specialists offering design management expertise in developing the product. 2. 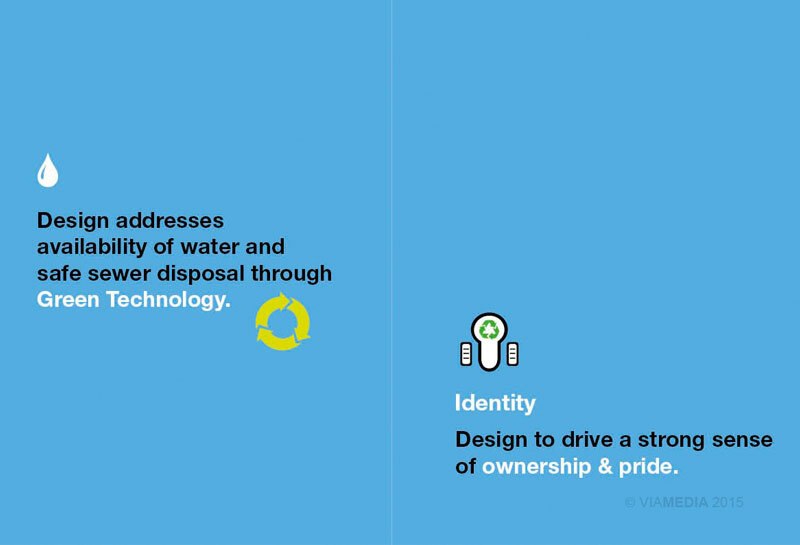 The naming & identity for the project 'Namma To ilets' was developed to drive a strong sense of ownership and pride. 3. The whole process was captured and documented by Viamedia in user -friendly formats in the form of a report.